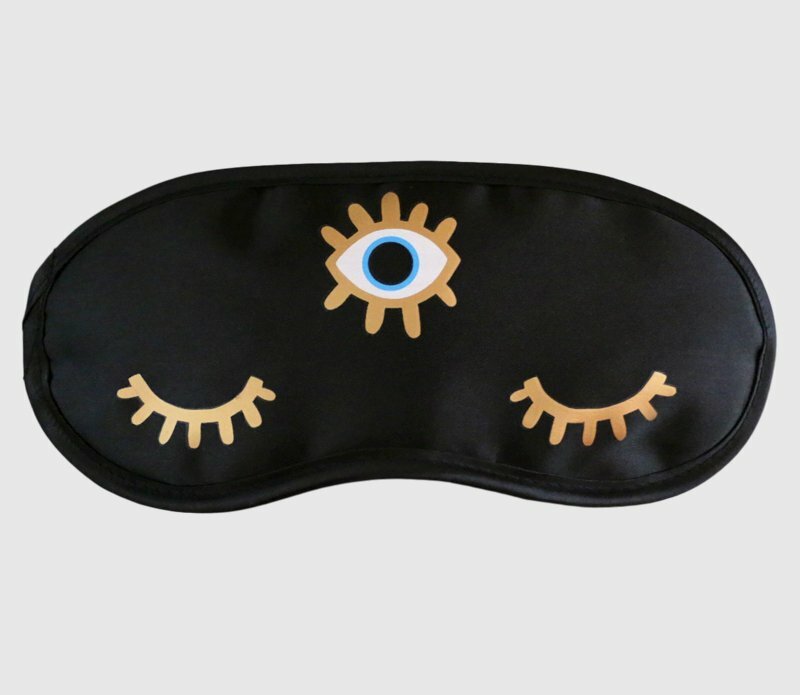 Wear this bright-eyed third eye mask to help you block out distractions when you need a peaceful nap or a good night’s rest. This mask is made with black satin and printed with gold eyelashes and a blue iris. Measures 7.5” x 3.5” with two soft elastic straps.